The judge rules that Tess Gerritsen hasn’t alleged a plausible theory on why the studio holds any obligation toward her. 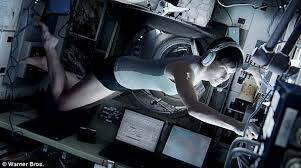 In 1999, Gerritsen wrote a book titled Gravity and sold film rights to Katja, a company owned by New Line, now a subsidiary of Warner Bros., for $1 million plus a $500,000 production bonus and 2.5 percent of defined net proceeds if the movie was ever made. In her April 2014 lawsuit, she claimed that the Alfonso Cuaron film was derived from her 1999 book and thus the film company owed her at least $10 million in damages on a movie that grossed more than $700 million in box office and won seven Oscars. In her lawsuit, Gerritsen also asserted that Cuaron was attached at one point to write a screenplay based on her book and that in addition to the similarities between her book and the film, she wrote additional scenes in which satellite debris collided with the International Space Station, leaving its female doctor-astronaut drifting in a space suit searching for ways to return to Earth. Warner Bros. threw up objections to the lawsuit for lack of a contract between her and the studio. The defendant also aimed to undercut Gerritsen’s contention that New Line and Katja are “shells” through which Warner Bros. does business. U.S. District Judge Margaret Morrow distinguishes between the galaxies. In the decision (below), Judge Morrow also can’t find alternative theories of Warner Bros.’ liability. For example, to the theory that the studio is the “successor-in-interest” to Katja’s and New Line’s obligations, the judge says it’s “largely conclusory” that those obligations were assigned to Warner Bros. as part of the 2008 deal to acquire New Line. Nor can Gerritsen establish that the Warner Bros./New Line/Katja consolidation involved the transfer of assets for the fraudulent purpose of escaping liability. The judge says there are no facts to support this allegation. Gerritsen comes back to Earth in alleging that Warner Bros. and the companies she did a deal with are “alter egos” of each other. The judge dismisses Gerritsen’s complaint and is giving her 20 days to file an amended lawsuit, without new claims (like copyright infringement) but with an opportunity to cure the deficiencies. However, the judge refused to permit discovery after not being impressed by the sufficiency of the first attempt’s conclusory allegations. If Gerritsen could support her claims against Warner Bros., she probably would have done so already. It may not be totally over. But for now, it’s looking that way.